**If you receive an error when booking that states "No Available Time for this Calendar Range" that means we are currently booked as this is a very popular program! Please bookmark this site and check back often for new dates / times. 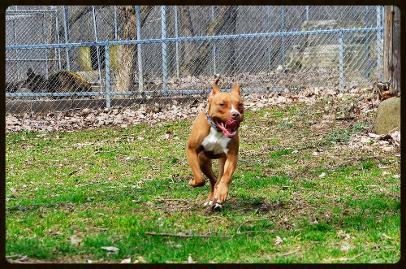 The BCBC Rescue Retreat allows us to help so many more pit bull type dogs and their owners! One new way we are able to help is by offering Dog Days YEAR ROUND! 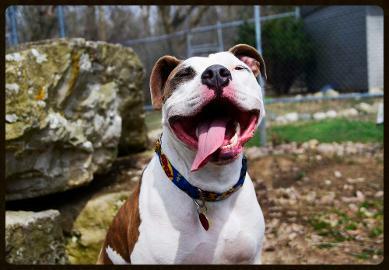 BCBC Dog Days provide a safe and structured place for pit bulls and their owners to gather and socialize! Don't have a pit bull? NO PROBLEM! We welcome all dogs! Dog Day Play Sessions allow our reactive, anti-social dog friends to let loose and have fun in a safe, private place... as well as allow our social dog friends to meet new friends and socialize in a safe, supervised setting. Play fetch, work on training, let them RUN! Watch them light up and have FUN! All 30 minute play times are scheduled and we are NOT able to take walk ins - you MUST schedule to reserve your time slot. Dog Day Your Way - Rent the play yard for your dog! This option is perfect for reactive dogs (no other strange dogs will be around) or those that just want some solo time! If your dog does well with house mates or another dog friend, they can come too! Is your dog people reactive? We'll gladly make sure to go over everything with you ahead of time so the yard is free of strange people, too! Click the 'Schedule Now' button below. Fill out the short form and you are scheduled! A confirmation email will be sent along with a reminder email 48 hours from the scheduled play session. A Liability Waiver will need to be signed and a $15 donation will need to be provided upon arrival. When you arrive, please stay in your car with your dog until a BCBC volunteer comes to greet you. Check out Dog Day Your Way Testimonials, Pictures, and Video below!